▶ SoldThis listing was sold on Nov 24, 2017 for the price shown here. 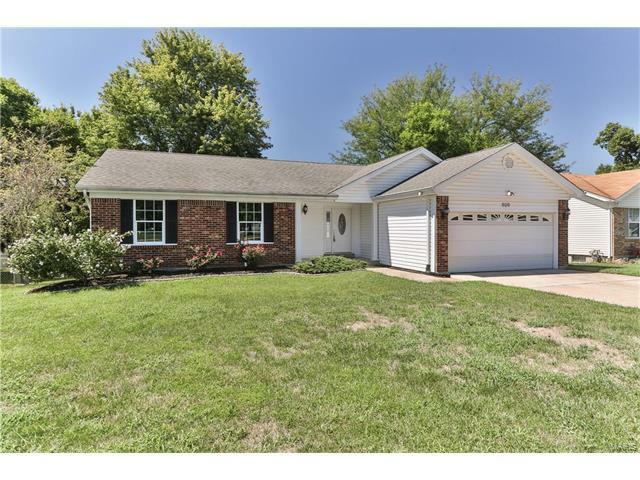 Beautiful, must see, ranch style home, with many recent renovations to a very popular open floor plan. Back on the market due to no fault of owner. This property includes a 3 season room, which adds a additional 275 sq. ft to the home. There are many other updates and other renovations that must be seen to appreciate. Also included in the sale are new Stainless steel appliances which accent the kitchen decor, save yourself thousands not having to buy appliances. Newer carpeting throughout home with colors accenting neutral walls and trim. Bathrooms have been renovated with high end features, that will make decorating a breeze, a 3rd bathroom is in the basement, a major plus when entertaining for family, or for party's.. Ceiling fans featured throughout the home for added appeal. Nice over sized 2 car garage will make storage easier. Large level fenced in back yard along with a deck for family get together and outdoor activities. Highway 364/94 to Harvester exit, to Caulks Hill to Towers Rd, right for several miles to Haversham, to left on Haversham Dr.